This article describes my truly secure, encrypted file synchronization service. It used EncFS and dvcs-autosync which lets me share only the encrypted data and mount that locally to get the plaintext. It works on OS X, Linux and ARM linux. This article has setup instructions for all those platforms. Overview of the solution we are building. My data is in an EncFS encrypted folder. The unencrypted contents are available after unlocking the folder. The encrypted files are synced to an ssh server an to a few other machines and devices using dvcs-autosync. The encryption happens on my machines before the data leaves the to internet. Recently I've had to stop using SpiderOak for my file backup and synchronization across machines. The main reason being that there is no ARM version of SpiderOak and the RAM usage was getting out of hand for me. And there still is no open source client, sadly. However, my time with SpiderOak was good, I've paid for it and most of the time it just works fine. It should support synchronization to multiple (more than 2) devices. It has to run on both OS X and any reasonable recent Linux version. It should encrypt files on my machine(s) before going to the internet. It has to be easy to add or remove storage nodes (like vps servers). It has to be open source. It should run on both x86 and ARM (debian armhf) (Chromebook ARM, Raspberry Pi). Then all current commercial services drop off, including SpiderOak, Bittorrent Sync and git-annex. This resulted in a clever combination of EncFS and dvcs-autosync. Because, in this day and age, you cannot trust any "cloud" provider with your unencrypted data. (And you can only trust those who say they do it securely when they release there source code, wink wink Wuala/Spideroak). I'll describe the steps and requirements needed to set this up first. Then we get started with the setup. First we'll set up the server. Then the first Linux client. If needed, steps are provided for adding other Linux clients. Then instructions for OS X are provided. It is a little long, but if you want privacy and security a one time investment is required. OS X machine (iMac, Macbook) with python 2.6+ (Included in Lion and above), git, xcode, command line tools for xcode and homebrew. So, lets get started. In about half an hour you have your own secure encrypted file synchronization service. As said, you'll need an SSH server which will act as your central data repository. Here your encrypted data will reside, and clients push and pull changes to and from here. If you have a few laptops which are not on all the time, this server makes sure all the clients have the most recent data. If you don't have a VPS, InceptionHosting has good VPS servers for a nice price. (Affiliation link). 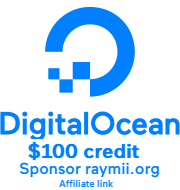 Digital Ocean also does a good job. (Also affiliation link). I won't cover the installation and setup of the server. SSH, a user account and a passwordless SSH key is all you need. Google can help you with the setup of that. That's it. Now we are going to set up the clients. rsync.net is a service which provides online storage available via rsync. You can use them instead of your own VPS server, I'll show you how in a moment. Why would you store your data there, and why do I recommend them when this is an article about a truly private system? Because they use a standard open protocol, support git and don't require a local client to be installed. Dropbox for example does. Any service which provides git/ssh access would be fine because you are just dumping encrypted data there and rsync.net is one of the better ones to do that. ssh &lt;user&gt;@&lt;server&gt;.rsync.net "git init --bare autosync.git"
Remember/copy that path to somewhere, we'll need it later on to add the git remote. That's it for now. Continue with the tutorial, when we get to the other git parts where applicable there will be a part for rsync.net. This will automatically install and set up both FUSE and EncFS. It'll also put you in the right user groups (FUSE). (Note that this is required only once on the first machine, not on all the others added later on). The first option of the encfs command specifies the folder where all the encrypted data will be. The second options specifies the mount point where the unencrypted data will be. It will ask you a few questions. The first can be answered with p. The second question is for the folder password. Make sure this is a long and strong password. That's it. Try to create a file in the ~/share folder and you'll see the encrypted file show up in the ~/secure folder. To access the folder any time later, use the above EncFS command to mount it again. We need to prepare the secure folder for usage with dvcs-autosync. The -u option also sets up the master branch as default and starts tracking in from origin. On debian/Ubuntu this part is easy because you can install a package. On other distro's, follow the instructions here on the official repo. dvcs-autosync uses XMPP as a way to send changes to other online nodes. So, you need a XMPP account. You can use your Google (talk) account for this, but you can also create an account via Pidgin at services like http://www.swissjabber.ch/ or http://xabber.de. I have my own XMPP server network, so for me that is solved. Make sure you have the username (you@xabber.de) and the password ready. Change the path to your freshly created secure folder (~/secure). And change the XMPP account data. That's it. You can change more things, but that is all explained in the config file. Could not load one of the supported DNS libraries (dnspython or pydns). SRV records will not be queried and you may need to set custom hostname/port for some servers to be accessible. Now you can also see with a git log that the files are added. It works! This runs dvcs-autosync every 5 minutes. It sees when it is already running, then it does not run again. I have an ARM Chromebook with Ubuntu running in a chroot. In the chroot cron does not run, so I have created a simple script to autostart dvcs-autosync on login. You can find it here on my github. Add it to your window manager to open on login and you are also set. If you need to set up another Linux client, first install encfs and dvcs-autosync as explained above. Also, configure dvcs-autosync with the existing XMPP account and set up the dvcs-autosync cronjob. Make sure to change the address and path to your own server. You can now also test if you create or remove files/folders on one Linux Machine, they are also created or removed on the other Linux machine(s). I also use OS X machines, so I want to have secure access to my files there as well. Luckily, that is possible with the above setup. The tools required are a bit more spartan in setup, but after setup is just as simple in use. You have to have XCode and the Command Line Developer Tools installed. Download the .pkg file from http://osxfuse.github.io/ and install it. This is needed for EncFS. OSXFuse is the continuation of MacFUSE, that seems to be discontinued. OSXFuse works on both Lion and Mountain Lion. It takes a while to compile and build the required dependencies, boost for example took 20 minutes on my 2012 Macbook Pro with an Intel Core i7. When everything is installed and working continue to the next step. With all the above setup you are ready to continue and set up dvcs-autosync. With this all set up, you have your own, truly secure encrypted file synchronization service! Well done. EncFS does have a few disadvantages. For me they don't weight up to all the advantages. It leaks file modification/creation dates. Some filenames can be derived from the encrypted form. You can read a very good article about EncFS here. It explains all the possibilities, but also all the pitfalls. There has also been a extensive code audit of EncFS which resulted in some issues. Read this mailing list post to find out. With multiple edits of a file, on different devices, then the file whichever dvcs-autosync commits first is used as "master copy". The others receive an XMPP notification, and incorporate a (5 second) wait time. When not online, as far as I've seen in the last three weeks of intensive usage, the when a file on the server is newer it is overwritten with a pull. If you have any questions, you can always contact me via email.